After being threatened with a law suit, it’s incumbent on us to really do our best to insure our story was correct or we would owe an apology for our incompetence. In a less hostile world I would have expected them to offer us some evidence under Wet’suwet’en law that the decision to strip Gloria George of her title was legitimate, and or that doing so holds any legal grounds whatsoever outside of their inner sanctum. The crown has no jurisdiction to uphold or refute what hereditary chiefs say or do, neither can they verify the legitimacy of those actions. There is the question however that would fall within the scope of the crown and that is taking assets away from a citizen of Canada, and giving those assets to another citizen of Canada. This was not just about taking away a name, or giving away a name, it was giving away what might be worth billions of dollars in value of territory, even if we are speculating on what the territory is worth. As we keep hearing chiefs say, they do not follow Canadian law, they adhere to Wet’suwet’en Law and we hear them say “Eagle Down is Wet’suwet’en Law”. Now in the next article after this one, I will try to show that Wet’suwet’en Law and the decrees made by the highest level chiefs, are one and the same thing. Absolute authority by the heads of houses, there is no need for written laws as laws are what the chiefs say they are. 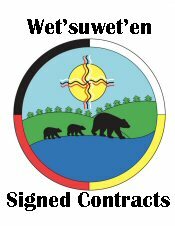 So in some ways, if that is really Wet’suwet’en Law, then they would be right, and Warner Naziel is now Smogelgem. However it’s not that simple either. There is no precedent, that we can find either in the court documents pertaining to the Delgamuukw trail (a massive amount of reading) and or in this book “Eagle Down is our Law” There are events in regards to higher chiefs taking actions against lower chiefs, but never equal in rank hereditary chiefs stripping others of the same rank. There is evidence that indicates that if there was disagreement, other means to remedy disagreement were to be used. The stripping of title is only MODERN DAY event, and has no support in historic law, that we could find. If we are wrong, then the public has a right to know, and we are not that small we could not admit that it was our error. I would never be someone who intentionally breaks Canadian Law, and I most certainly would not intentionally break Wet’suwet’en law either. So it became mandatory reading to learn Wet’suwet’en Law from the book called “Eagle Down is our Law” I will do a book review on that in my next article, so that article and this one become intertwined. It is by learning Wet’suwet’en law, that we can avoid breaking their laws. Also I do not see them as a foreign nation in that we have no business in reviewing their actions, we live together, its incumbent on each other to know each other’s rules. I read somewhere that Kloum Khun had mentioned publicly that Warner Naziel is somewhat of an expert in Wet’suwet’en Law, so it came somewhat as a shock to learn we were correct in our previous article, where we said it was our belief Warner Naziel is not eligible to inherit the Smogelgem title. The hereditary chiefs name Smogelgem for Sayax in English “sun or moon house” Note we are quoting from “Eagle Down is our Law”. 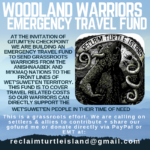 We repeat what we said before the reason the hereditary chief of the third house in the Laksamshu Clan is from the ‘crooked house’ and it remains vacant is due to the small pox epidemic that wiped out all of that clans family. If the name could have been given away, consider this epidemic happened in 1862, so in over 100 years nobody was able to get that hereditary name. They have respected that chief’s name and it’s never been given to anyone else, because it’s a different house. One very interesting observation we made from “Eagle Down is our Law” is the physical price paid by someone wearing a crest or headpiece that does not belong to you is evil medicine that can really harm you, or bring harm to your family. Many Wet’suwet’en still today refer to it as very bad karma that can befall your family. So it leaves us with the only conclusion we can think of, that there was a significant error of understanding Wet’suwet’en law, and the only way to remedy this situation is prove us wrong, or do the right thing. We do want to say someone contacted us that they are willing to testify, with supporting evidence that it was the wish of Smogelgem Leonard George that Gloria George is his desired successor. That person is waiting for the appropriate forum to present that to the Wet’suwet’en people. This entry was posted in Aboriginal Issues, Aboriginal Radicals, Breaking News, Bulkley Valley, Coastal GasLink, LNG. Bookmark the permalink. 2 Responses to Smogelgem Revisited – Who is the legitimate heir? My name is Adriana I am the granddaughter of Leonard George…… I appreciate your articles and am following them all very closely. Very interested to see how this plays out. I have found an article in the PG Citizen that talks about Warner Naziel starting a new “Camp” . 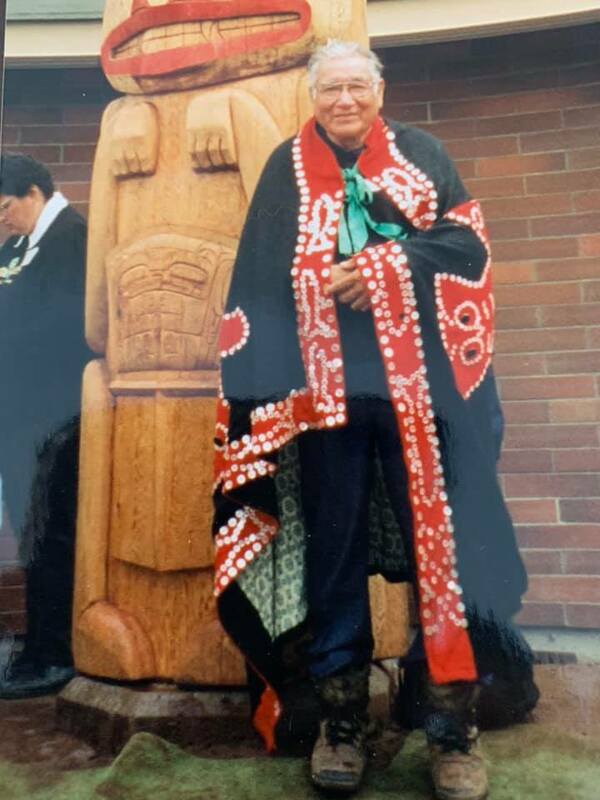 Leonard george always visited our people of the southside, much like on other HC years ago prior to their passing, since he and one or two others have passed on, the visits stopped and not one HC recognizes nor acknowledges our people of francios lake. I remember he sat in the pay our potlatch of my late mom, Irene D. Uncha lake, in year 2000. We appreciated his presence and we made sure he was well honored to be present. Last of the true HC will never be the same, and we are honored to know that Gloria is still with us and we love her too. Mom had high respect for such a women of integrity and leadership.